Eyebrows say a lot about you. In fact, some consider eyebrows to be be the frame of your face. A subtle movement of your eyebrows can tell the world what you’re feeling. Eyebrow styles have come and gone over the years. In the ‘80’s, it was all about ‘the bigger the better’ like the below image of Brooke Shields. In the 90’s it seemed like the tweezer industry was booming as seen on Angelina Jolie. Today, it’s all about well-defined eyebrows using the natural shape of your eyebrows as a guide. Eyebrows can easily be one of your most beautiful facial features but if yours need a little help here’s a quick guide to shaping and filling yours to find the best eyebrow look for yourself! Other than an occasional tweeze of a wild hair, many people completely neglect their eyebrows. Then there are those who pay TOO MUCH attention and end up with almost no brows I like to call them tweezer happy client. Finding the perfect brow is all about balance and finding a shape that naturally suits you. No matter what kind of natural eyebrow shape you have, thin and wispy or a little on the thick side,there are many things you can do to play up this important facial feature. Everyone has their own unique shape for eyebrows that suit them the best. It just takes a little attention and patience to find it! While you are exfoliating your face take a few extra seconds on your eyebrows. Dead skin and make-up tends to build up underneath and around your eyebrow hairs. Rub your fingers in a circular motion around both eyebrows and rinse carefully. The easiest way to find your best eyebrow shape is to go to a professional for waxing or threading. You can then maintain the shape in between appointments by tweezing the strays that come up. 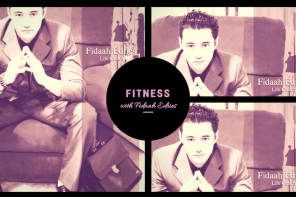 – (a) Determine where your inner eyebrow starts. Hold a straight edge -such as a ruler- vertical to your face and align it with the outermost edge of your nose and the inner corner of your eye. Mark that spot with an eyebrow pencil so you know where your brow should begin. 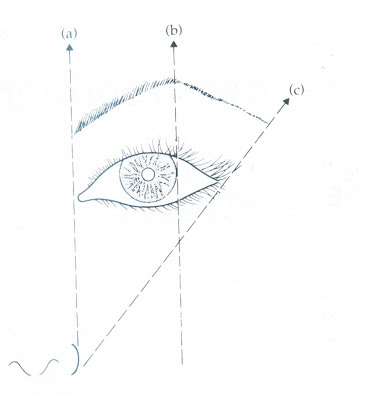 – (b) Determine the arch of your eyebrow by locating the outer rim of your iris. Mark that with an eyebrow pencil as well so you know where your eyebrow should be at its highest point. – (c) Mark your eyebrow end point with the help of your straight edge. Make a line with your straight edge going from the bottom of your nose to the outer corner of your eye. Decide the thickness that you want by marking your eyebrow pencil in a line just underneath the fullest part of your brow. You can decide the shape you’d like with this line. Once you’ve marked your eyebrow shape, you are ready to remove excess hair with your chosen method of hair removal. Waxing, tweezing and threading are the most common methods for keeping eyebrows in shape. Goodluck with the tips – may you have fabulous brow days ahead! 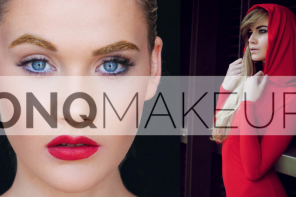 Next articleGET YOUR MAKEUP DONE LIKE A PRO WITH OnQMAKEUP!